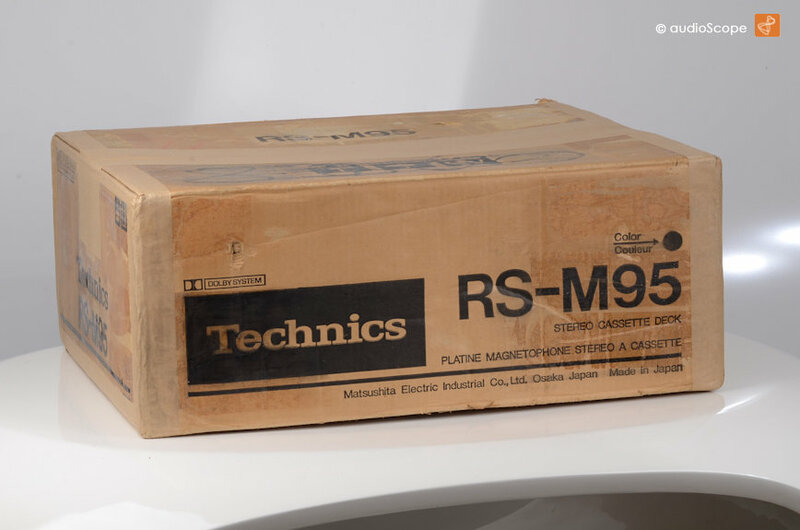 Technics RS-M 95, Top of the Line for sale. 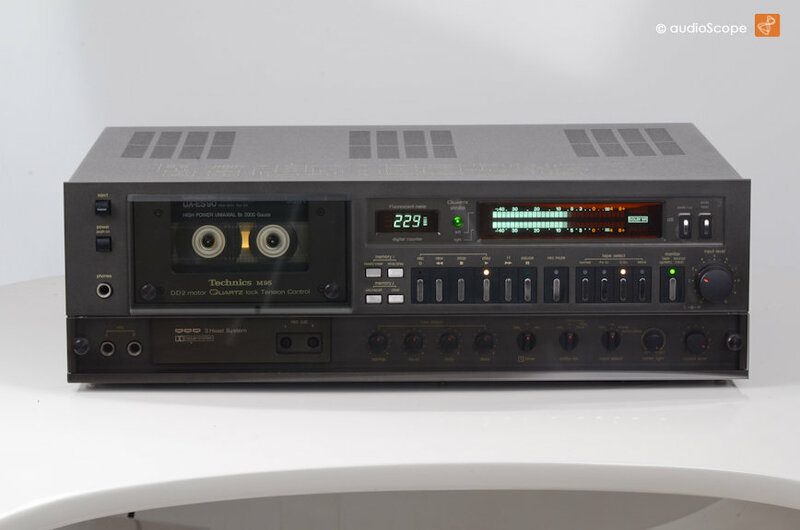 Today we offer a piece of Technics History in perfect optical and technical condition. 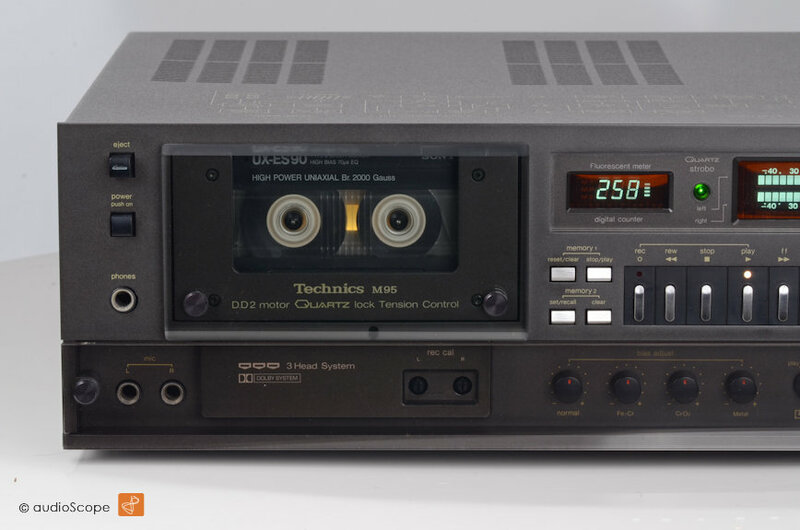 This unit is equiped with all the features you expect from a referece tape machine. 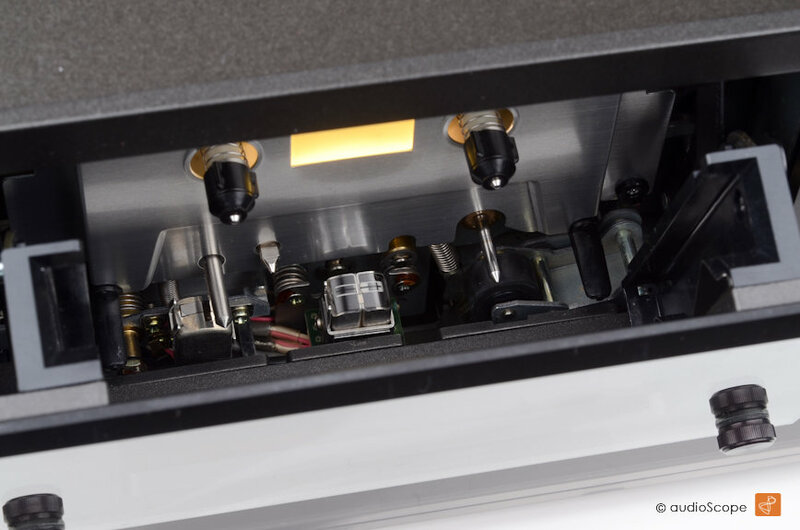 The manual calibration utilities contribute to studio quality recording results. 2 test tones, 400 and 8000 HZ help to adjust the bias to its optimal settings. 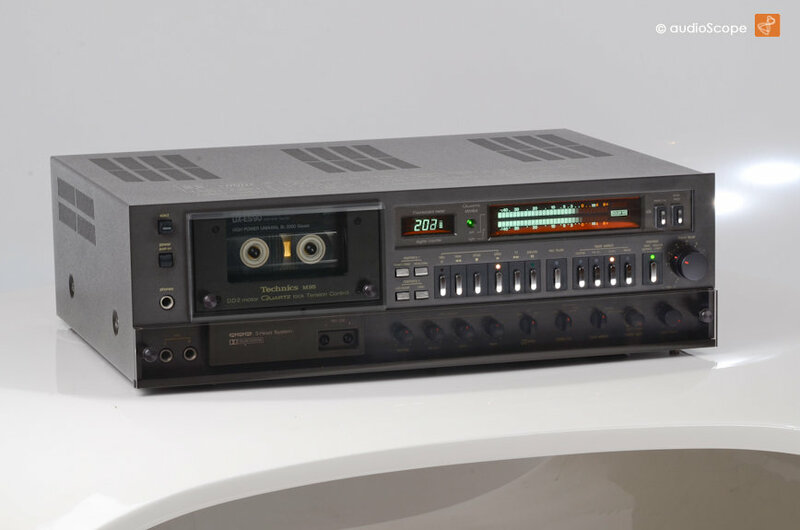 It features a separate controller for every tape type. The level settings are separated for the left and right channel. The display´s light intensity is infinitely variable. Further you can choose the VU or peak operation, if you want, peak hold aswell. 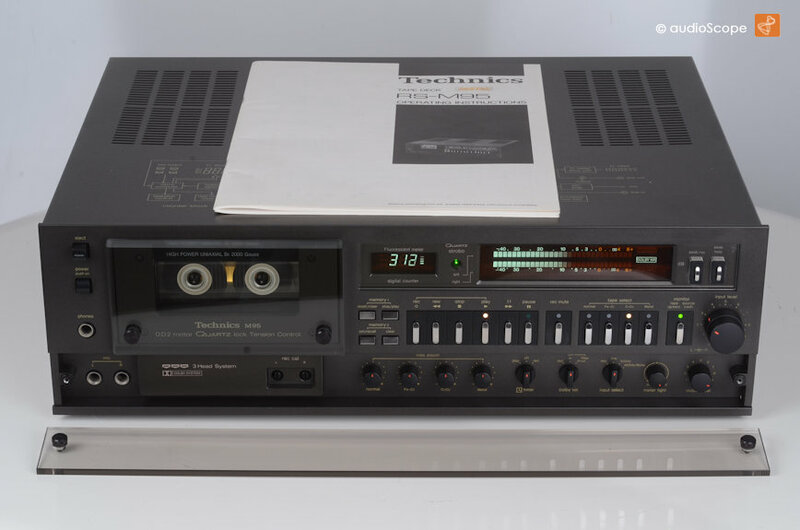 This is a great deck in mint collectors condition including the original owners manual & box. From non smoking owner. 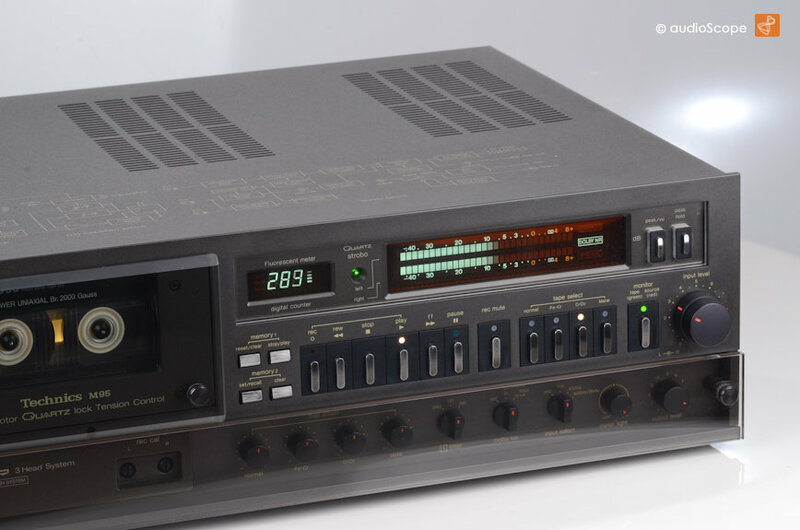 For technical information click on the link below and visit "classic-audio.com"